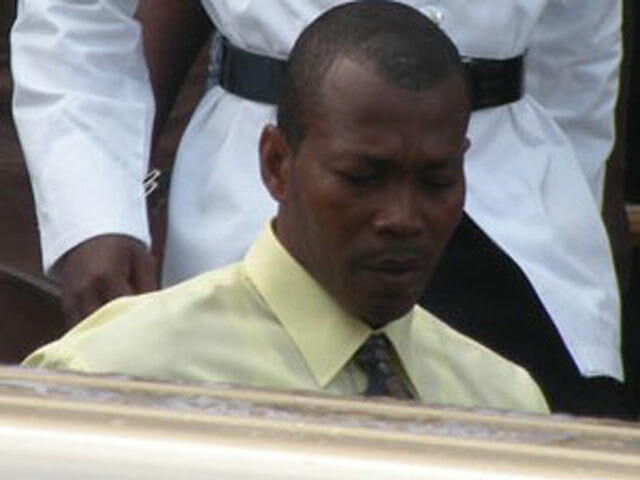 Four months after approaching the privy council in London for an appeal, Warrington Phillip’s conviction of the 2007 murder of his estranged wife, Shermell Williams-Phillip, stands. Phillip, who was sentenced to life in Her Majesty’s Prison for the murder, made two appeals to the Eastern Caribbean Supreme Appeal Court, both of which have been dismissed. His application to the Privy Council was his last resort to void his conviction. Both Valston Graham, director of public prosecutions for St. Kitts and Nevis, and Prosecutor Dane Hamilton QC journeyed to London to represent the Crown. Lady Hale, Lord Reed, Lord Carnwath, Lord Hughes and Lord Hodge heard the appeal in London in January and the judgment was handed down May 16. The Observer contacted Ordett Williams, the mother of Shermell Williams-Phillip, on May 16. She said that she was beyond happy with the verdict. However, she did say she wished Phillip’s punishment for taking the life of her daughter was greater. Williams expressed her gratitude to everyone who prayed and called her during this time. She also expressed her appreciation to Graham, who kept her up to date on her daughter’s case. The last criminal case that was before the privy council for St. Kitts and Nevis was that of Travis Duporte, who was convicted of murdering Sattora “Shakabee” Williams of Newtown in 2004. Duporte was sentenced to death, which was subsequently commuted by the Court of Appeal to life imprisonment. In 2015, the privy council dismissed his appeal.